Have plenty of thirsty friends and family to satisfy in the summer, but keep finding yourself running out of ice? Or perhaps you’re looking to get that restaurant-quality clear ice to serve up at home – effortlessly adding a touch of class to every drink. Below you’ll find our cream of the crop when it comes to ice makers: we’ve included an option to satisfy everyone. From a great value mini-powerhouse, that’ll quickly refill it’s smaller bucket, to large and robust machines capable of keeping the biggest of summer parties flowing with crisp and clear ice. The Scotsman CU50GA-1A: Our #1 recommendation. Well you’re in luck! We have two for you. First up is our best of the best, the cream of the crop. And that’s this incredible CU 50GA-1A model produced by Scotsman. 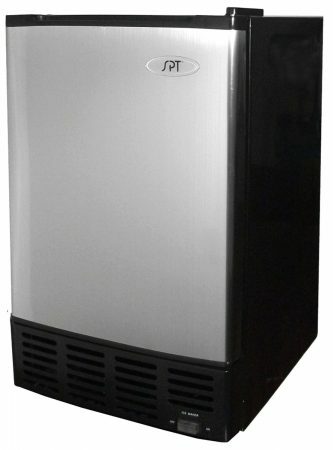 Produced in the USA by the original ice machine professionals, this ice maker is the ultimate in quality. Both in terms of a great machine, but more importantly, incredible ice. 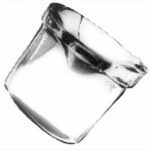 Expect large, gourmet-shaped, odorless and clear ice that never fail to get noticed. It’s not cheap, but we find that it’s one of the absolute best ice machines out there. On the other end of the scale, we’ve found a great value pick that covers as many bases as you’ll need. The EdgeStar IB120SS, while much smaller than the Scotsman model, still produces plenty of ice that quickly keeps its bucket refilled. While the ice isn’t quite as perfectly clear, the big drop in price and high production rate makes up for it. (Plus, you can always just store a few bags of ice before a big party). If you’re just looking for a cheaper and simple ice solution, this is a great option. Don’t forget to also check out our review of the best portable ice makers! If you’re not fussed about true restaurant quality shapes and would love a cheaper price, these simple countertop appliances could be the perfect match for you. 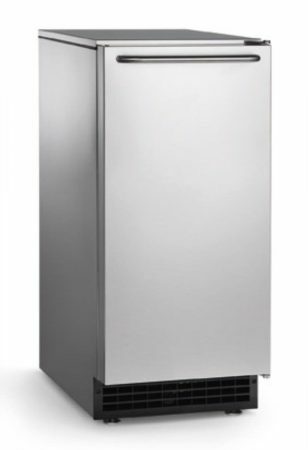 With a small stature and a door that can swing both ways, this ice maker can fit in anywhere. 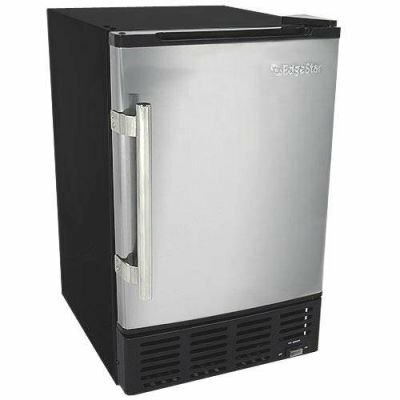 This EdgeStar is a fantastic little ice maker that will fit under almost any counter. At just 15 inches wide and 25 inches tall, it’s perfect for fitting snugly into any leftover kitchen space. However, don’t let it’s small size fool you. This guy is an absolute workhorse, and has a production rate so high it’s like you’ve won the jackpot at the ice casino. It’s 6lb-capacity storage tray holds enough ice to keep the family happy on a cold day, with plenty of extra production power if you want to store some of it separately in preparation for a garden party or a midsummers heatwave. And don’t worry about any overflow with this superquick production; the auto shut-off feature works perfectly to ensure your treasure chest of ice doesn’t spill out on you when it’s opened. Our only negative point to note is that the ice can be a bit frosty. Other than that, the EdgeStar runs perfectly. While you may have seen a few complaints about noise online, we find this is mostly due to people setting up the machine wrong. The unfortunate case with a lot of appliances. If you do pick up this little runner, just make sure the adjustable legs keep him nice and level. A level appliance is a happy appliance. Finally, one of the best aspects of this appliance – the price. And oh is it nice and low. Versus it’s bigger competition that can place themselves near the four figure mark, this EdgeStar is far less than that, and will still happily churn out ice for you all day long. So while it may not be the sleekest looking or the largest, this is our top value recommendation if you’re eager to shoot for utility over appearances. A fantastic little runner. While it’s not the largest machine, it’s high production and a bit of preparation before a big event means this EdgeStar is capable of taking on any challenge. It’s not without it’s flaws, but the fantastic price tag is a great way to help you forget about those. Our best value pick. Bringing you ice as crisp as the glacial mountainwaters of Scotland. This Scotsman undercounter ice maker is one of the best models we’ve come across, hands down. We could say this is due to the stellar build quality, excellent production capacity, or sleek looks – but every machine we’ve included in this list can boast matching qualities in one way or another. 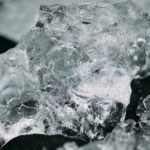 The best ice we’ve found – unique shape, crystal clear, slow-melting. Instead, it’s about the bottom line. 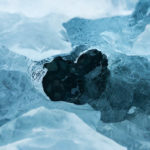 Which is the ice – since at the end of the day, that’s why you’re reading this guide. The quality of the ice this model produces is incredible. The unique shape and crystal clear transparency make it a fantastic eye-catcher, with the large shape meaning you can savour every sip of that ice-cool drink. At this quality level, it’s not just about making cold drinks, either. The gourmet ice that this model produces are a fantastic talking point that never fails to get noticed, and really just adds that extra touch of class. Now we need to factor in the water-quality sensor which ensures that stellar quality remains consistent. Couple it with the external control panel that keeps you updated and makes the appliance easy to use. Finally, include the unbeatable brand reputation that Scotsman have built in the ice-making world. 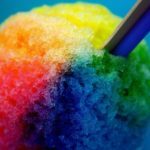 All of these mixed together is a complete recipe for success – making this our top recommendation for undercounter ice makers. Commercial level of ice output Expensive! Large, slow-melting, uniquely shaped and odorless ice. Accurate water sensor and an easy to use control panel for simple operation and maintenance. A solid brand reputation (one of the few who still make their products within the USA) with fantastic looks on an appliance which is as happy outside as it is inside. The complete package – and our #1 rating spot. Another great half-height ice maker with a fantastic production rate. Sunpentown’s IM-150US model is a great all-rounder when it comes to ice makers. For a competitive price, you can get a medium-sized, high production machine that will keep its stock full on the hottest of days. The half-moon shaped ice adds that extra level of unique-ness, with up to 6lbs of it being stored and ready to go. One point to note is that there is a slight amount of frost build-up, but a quick quarterly defrosting a day or two before a big event is all you need to keep things running smoothly. However, while we’re on drawbacks, we have noticed that the ice maker is a bit on the short side. If you’re planning to just have the machine freestanding on the ground, be prepared to do some bending down in order to freshen up your drinks. Having another appliance or even just a stand underneath is all you need to make it perfectly accessible. Plenty of ice production in cute little half-moon shapes, little required maintenance and a competitive price makes this ice maker a great all-rounder. While we’re not the biggest fans of the black exterior, the reversible stainless steel door does add a great finish to an appliance that will snugly fit under most counters or comfortably rest atop another appliance. A sturdy treasure chest of ice: you can take this model anywhere. 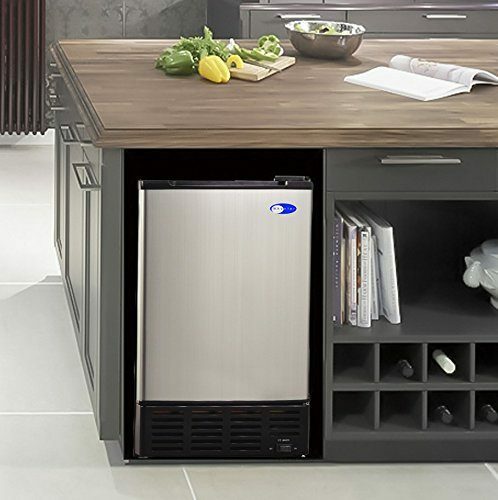 We love this Whynter ice maker. It makes quality ice, looks great, and comes in at a fair price for what it is. But those aren’t the reasons it never fails to put a smile on our face. That reason is that this ice maker could survive anywhere. Whynter have designed this model to be on a whole other level of durability and robustness. This ice maker is so durable that it would be at home on a military base in the desert. It’s extra thick metal, secure door lock, and complete freedom from needing a drain mean that it’ll be churning out ice for years to come. Built to be installed on boats and RV’s, the lack of drainage is counteracted by the model being able to keep it’s ice frozen. Not only that, but it also recycles melted ice water into brand new cubes. You can’t get much more efficient than that. So while it’s not the cheapest or sleekest, we love this model because it’s like the reliable pickup truck of ice makers. You just know that it’s going to last for what seems like forever, and Whynter’s great reputation goes a long way to back that up, too. The Rocky Balboa of ice makers. Consider this model to be an investment in the future – because we can’t see anything that will stop it from making you ice. No matter how many punches are thrown at it. 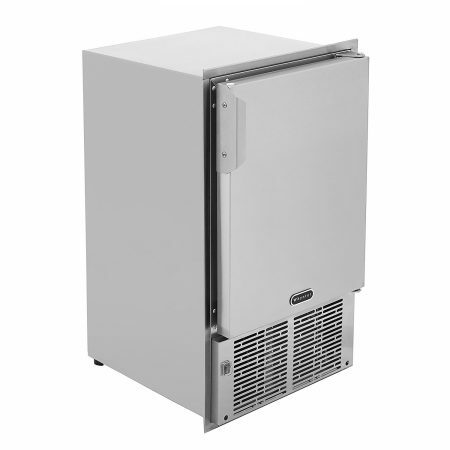 Built for reliability, including a secure door lock and the best-included hose and plumbing parts quality we’ve seen, this is a great solution if you want a solid ice maker for years to come. Well, that’s it from us! While there’s plenty of other great models out there, we like to keep things simple and focus down on only the best. However, if you’d like to look at more models, checking out Amazon’s bestseller list is always a good idea. That being said, we do really recommend every machine on our list here. If you’ve found your perfect ice maker, we’re very happy to have helped! Don’t forget to consider picking up a metal ice scoop if you’re model doesn’t come with one, and some cleaning product never goes amiss, either (both links go to the best Amazon products we’ve found). Here’s to enjoying plenty of ice-cool drinks in the very near future – cheers!